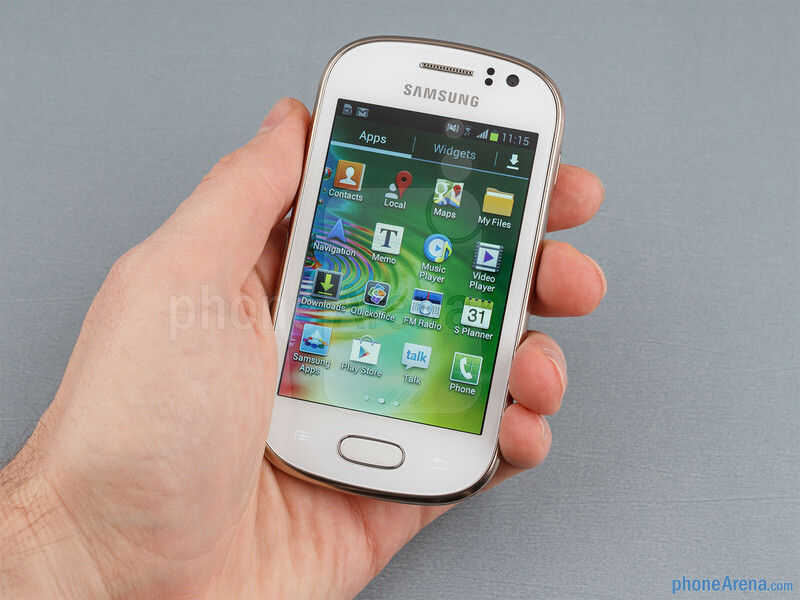 The Samsung Galaxy Fame is an Android smartphone that has “entry-level” written all over it. As a member of the said device class, it offers hardware specs that can't get much more modest than that: a 3.5-inch 320 by 480 pixel display, 1GHz single-core processor, 5MP camera, and 4GB of storage. But the smartphone runs Android 4.1 Jelly Bean and has access to the huge apps collection offered by Google's ecosystem, so despite its low-end nature, there's quite a lot one can do with it. 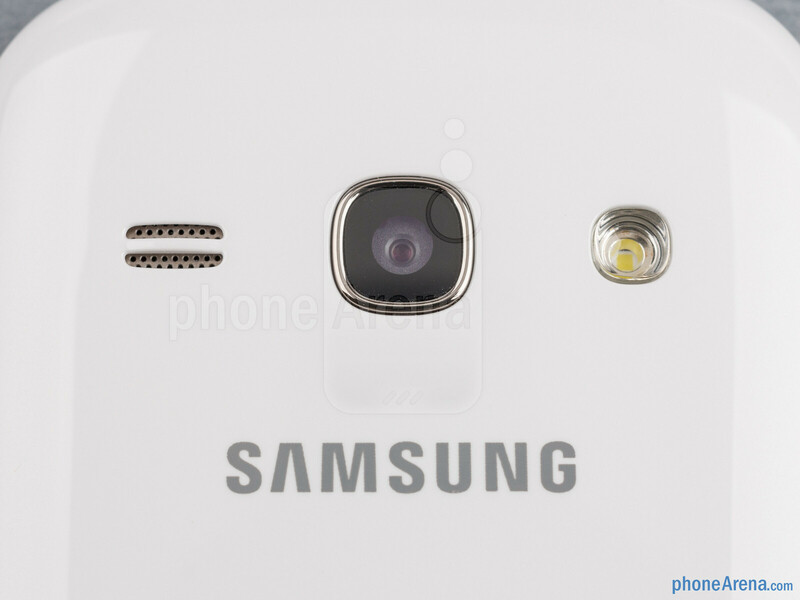 So as a whole, is the Samsung Galaxy Fame any good? Well, we'd also like to know the answer to that question, which is why today we're going to preview a prototype unit. 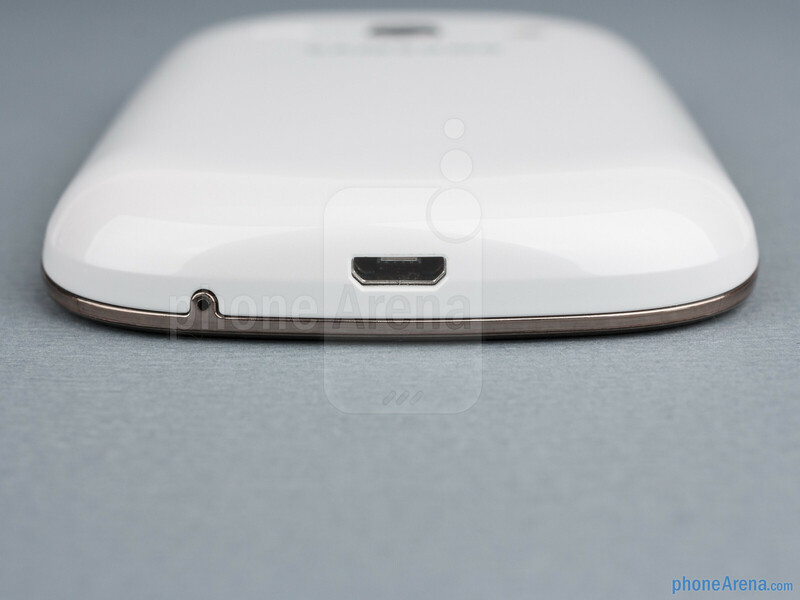 Since the device that we have here isn't running finalized software, we can't yet draw any final conclusions about it, but it should give us a good idea as to what to expect from the Galaxy Fame once it is released. 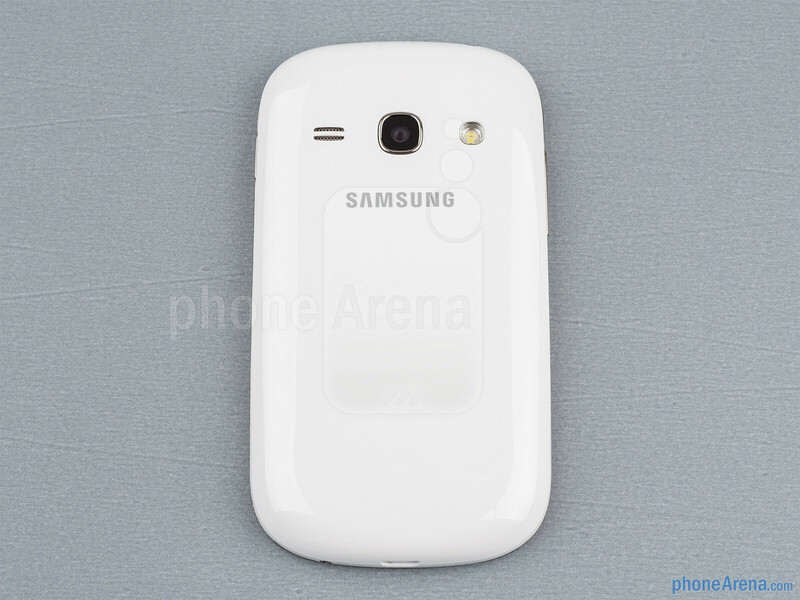 Cute as a cuddly critter – that's how we'd briefly describe the Samsung Galaxy Fame. Thanks to its pebble-like shape, the smartphone is a delight to handle and operate, especially since its curvy body makes it fit perfectly in the hand. Plastic is what the device is made out of, but it lacks the cheap feel that entry-level phones are usually associated with. 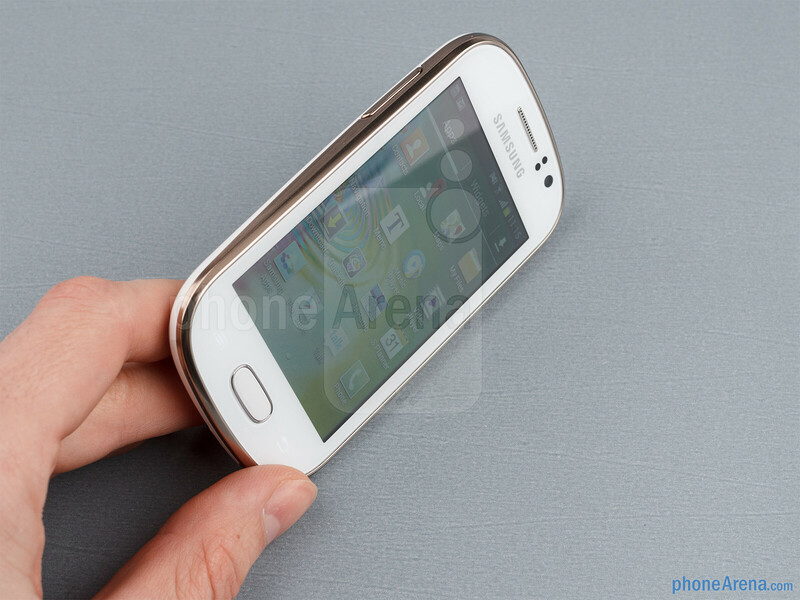 Quite the opposite, the Galaxy Fame feels pretty solid in the user's palm due to its sturdy construction. Our only complaint is that its glossy front and back sides retain a little bit of finger smudge, but that's just a minor issue that most users won't be bothered by. 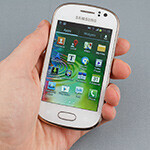 You can compare the Samsung Galaxy Fame with many other phones using our Size Visualization Tool. 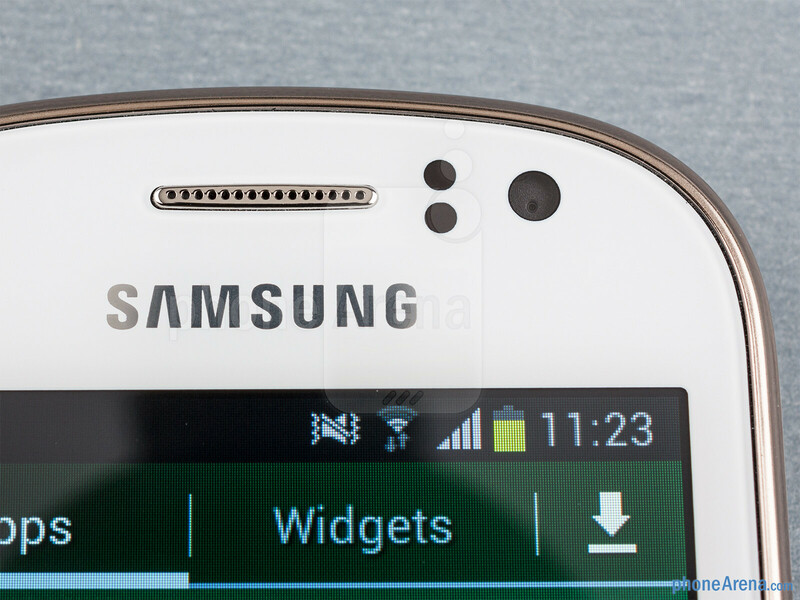 The Samsung Galaxy Fame is equipped with an excellent set of physical buttons – a volume rocker on the left, power key on its right side, and a home button underneath its screen. All of them are easy to reach and provide very good tactile feedback. 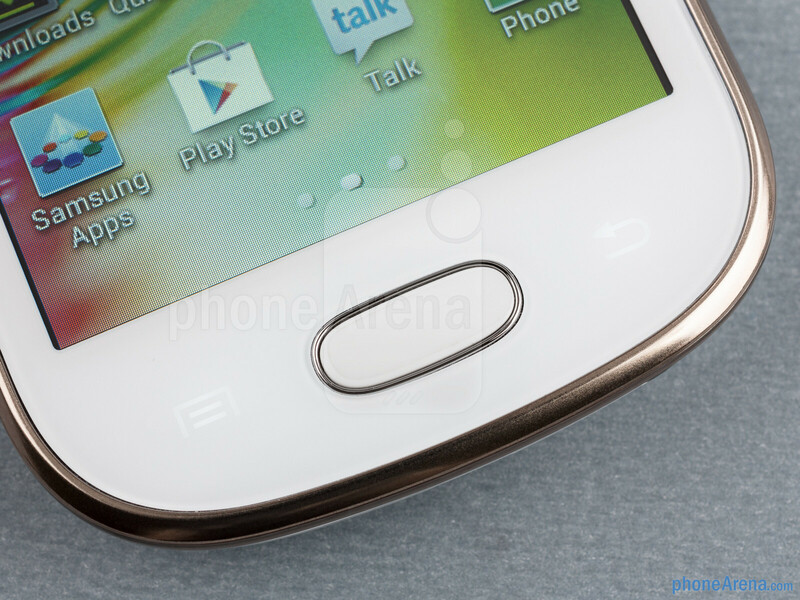 The two capacitive buttons that complement the home key are also well within reach. 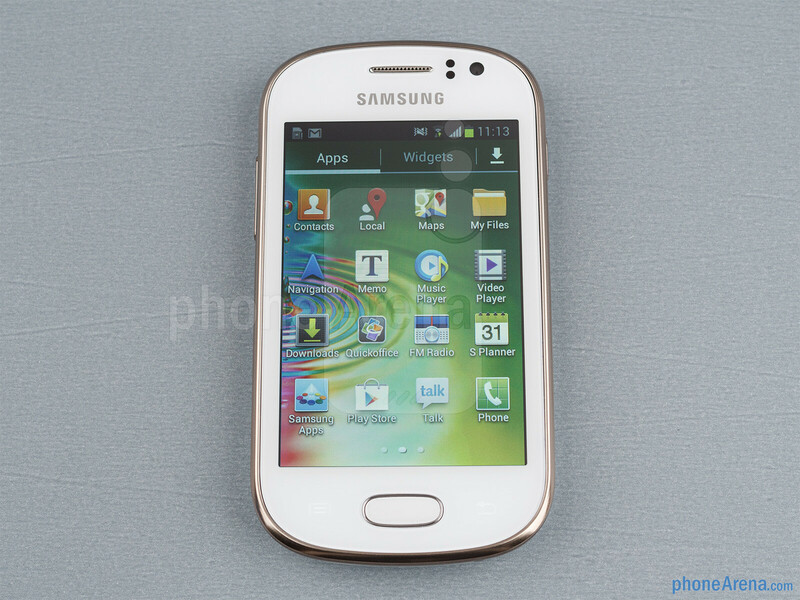 The Samsung Galaxy Fame might be pretty, but its LCD screen surely isn't. That's due to its low resolution of only 320 by 480 pixels spread across 3.5-inches in diagonal. Needless to say, pixelation around the curves of graphic elements is easily noticeable. The display's viewing angles and color representation are also somewhat disappointing. On the bright side of things, the screen's outdoor visibility is acceptable. 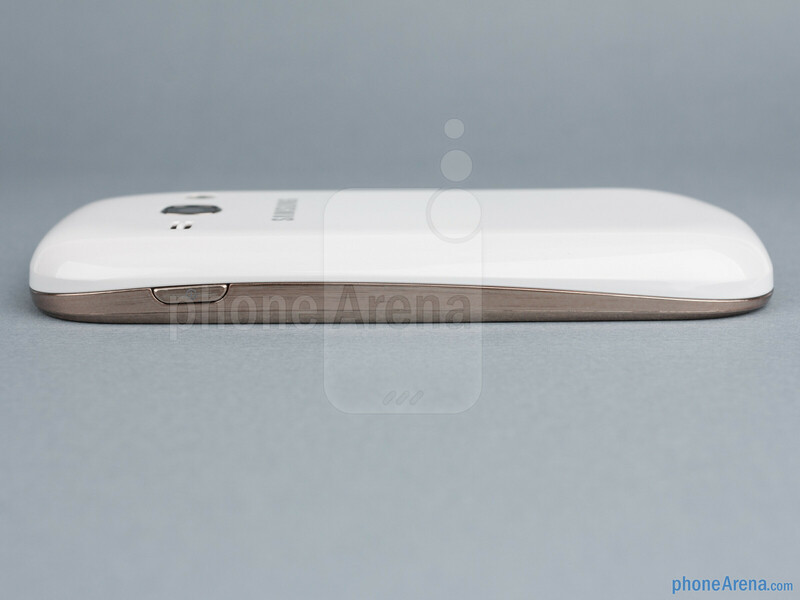 For it to be usable, however, you need to boost its brightness to the maximum. That is done manually via the brightness slider conveniently placed in the drop-down notification bar. 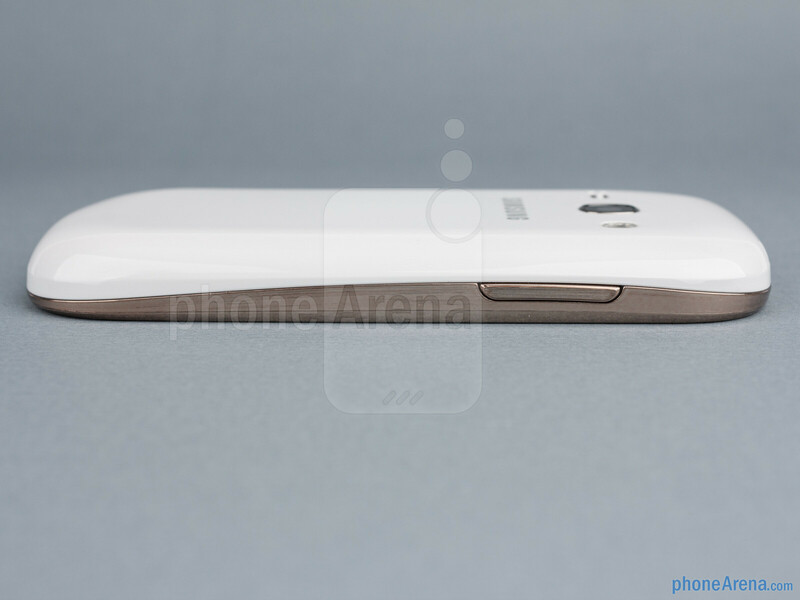 An uglier version of the already ugly Galaxy S3. Good entry-level phone. Runs Android Jelly Bean, got a decent camera and some nice features. 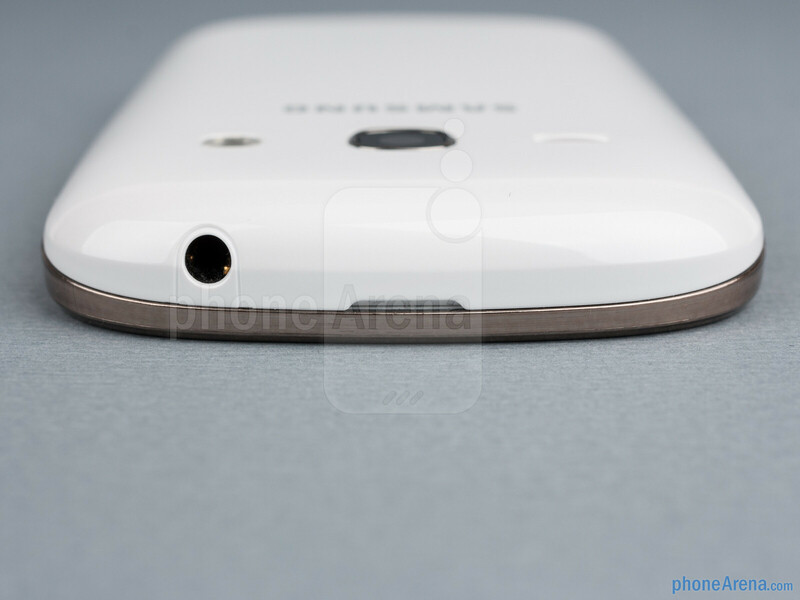 Would get it over a Optimus L5. Buy a Cherry Mobile Flare and you get a 4" WVGA IPS Display, 1.2GHZ dual-core processor, 5MP AF Camera and Android. @phonearena.. Does it have a GPU.. plez reply..